Apkar-Vahram Proudian is slowly walking down Ramses Street from the Armenian Patriarchate on his way home a few blocks away. It is a pleasant Friday morning in central Cairo. He had attended the Friday morning mass along with a dozen or so other people, returning to the house where he and his wife Sonia Sandaljian-Proudian have been living since they were married back in 1955. He slowly opens the door to greet “Sona”, as he calls her. She joins him for coffee — never call it Turkish coffee in a good Armenian household and certainly not in the house of a man whose hyphenated name is there as a reminder of paternal and maternal uncles who were killed as children in different contexts by the Ottomans and Ottoman sympathisers during the Armenian Genocide in the early 20th century. The Proudians drink their coffee and refreshing lemonade and eat cakes at a table adjacent to a window overlooking Ramses Street. “This was once called Abbas Street. Then it was named after Queen Nazli, and then it was called Nahdet Misr. For the last few decades it has been Ramses Street. I don’t think the name will change again,” muses Apkar-Vahram. Both the Proudians have many memories of the way life has looked from their living and dining room windows over the past six decades. They remember the area turning from a generally residential one to an area full of office buildings. They also recall the construction of the 6 October flyover and of the first line of the Cairo Underground. “It has been a lifetime for us in this apartment. So much has happened, and so much more has changed,” Sonia says. 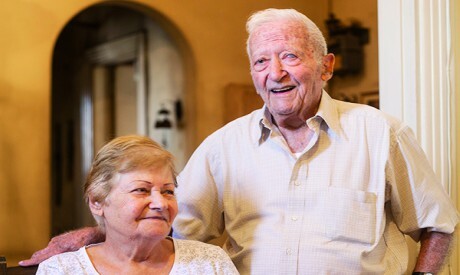 The past 65 years make up some two-thirds of the life of Apkar-Vahram, who was born in 1920 in Gammaliya in Cairo to a family of second-generation Egyptian-Armenians. His paternal grandfather had come to Egypt in the early decades of the 19th century long before the Armenian Genocide carried out by the Ottomans against the Armenians starting in 1896. Like many Armenians at the time, the first Proudian to come to Egypt worked in the tobacco industry. “It was not to Cairo that they came. It was to Zagazig in the Delta, where my grandfather worked for the Gamsaragan Company,” he recalls. His maternal grandfather, however, came to Cairo during the years of the genocide. He too worked at a tobacco concern, this time in downtown Cairo. It was “next to the Hotel Victoria, the famous Melkonian Company,” Apkar-Vahram says. Shortly after the beginning of World War I, Hovagim and Vartevar, the father and mother of Apkar-Vahram, met and got married in Heliopolis where Hovagim was working with the company then building this Cairo suburb. A few years down the road, they moved closer to the heart of the city where they had children, of which Apkar-Vahram is the only surviving member. Like the vast majority of the Egyptian-Armenians of his generation Apkar-Vahram attended the Kalousdian School in Cairo, after which he went to the Lycée Liberté in Heliopolis. On graduation, he started his career at a contractor agency in Bab Al-Louq. He then moved to work in the offices of the Swiss restaurant and tea-room Groppi. A few years after that, he took up a teaching job at the Kalousdian School, and it was there that this teacher of French and mathematics first set eyes on Sonia. 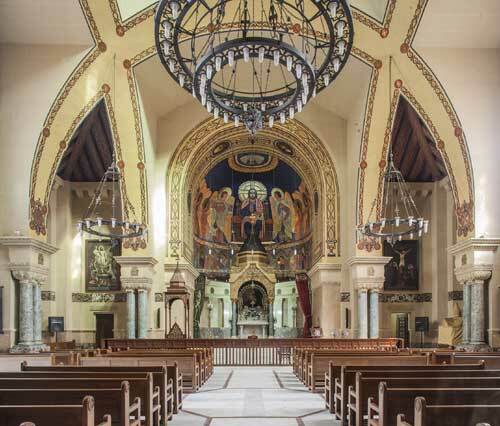 Typical of many in the Armenian diaspora, Sonia’s parents had come to Egypt after the genocide began in the late 19th century. She was born in 1932 in Alexandria. “My parents were living in Alexandria when they met. My father was working for the British army at the time, and by the early 1940s, in the middle of World War II, he moved to Cairo. I also moved from the Melkonian School, founded by tobacco-dealers, to the Kalousdian School,” she says. Sitting next to each other in their Cairo living room, the Proudians share recollections of their early outings. They speak of attending grand performances at the old Cairo Opera House and lament its destruction. They recall cinema evenings downtown and strolls through the streets. They talk of the delicious desserts once available at Groppi’s tearooms. They nod their heads at the recollection of a growing affinity that turned into a love story, eventually seeing them as bride and groom in the aisle of an adjacent church. Apkar-Vahram moves from the table to go through some photograph albums he keeps in two big cupboards. He is digging around for an original of their wedding photograph taken by Antro, one of the many Armenian photographers working in Cairo from the 1930s to 1960s, whose studio still overlooks Suleiman Pasha (now Talaat Harb) Street next to the Cinema Metro. “These photograph albums go back to my early years as a child. They have so much of my life in them: my youth, my parents, my children and my grandchildren — a whole lifetime of photographs and so many documents,” he says. Having failed to dig out the picture, Apkar-Vahram then takes a framed photograph off the wall of the living room. He points to the black-and-white picture of his wedding in the middle and the colour photographs of his son Vazkan, born in Cairo in 1958 and now living in Brazil, and his daughter Anie, born in 1961 and now living in Switzerland. “They also studied at the Kalousdian School before my son joined the Faculty of Architecture and my daughter joined the American University in Cairo. We were very happy to have brought them up in Egypt where it was easy to provide them with a good life. We did not want to leave Egypt for Canada or the US as many friends did in the second half of the 1960s. 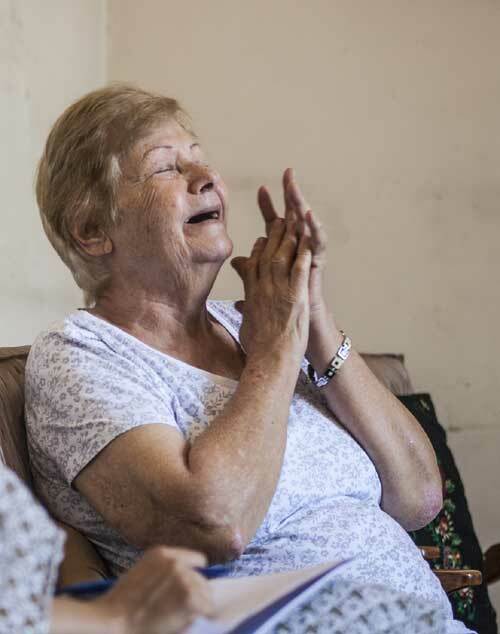 We wanted to be here with our elderly parents, and we felt that we belonged here in Egypt,” Sonia said. In 1951, Apkar-Vahram received his Egyptian nationality. He had a job at one of the European airlines in Cairo, and “life was going well,” he says. “We had friends who were leaving for North America and Australia in the 1960s and 1970s, and we also had friends who were moving back to Armenia after the fall of the former Soviet Union in the early 1990s. But we had no wish to leave Egypt,” Apkar-Vahram said. The Proudians made several trips to Armenia, however — the land of their ancestors and their home apart from their diaspora home in Egypt. Even so, they did not wish to leave for good. 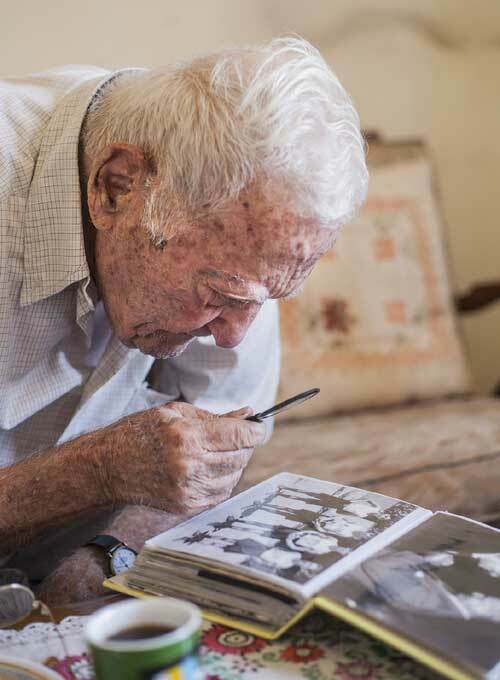 “Our life has been here, not elsewhere,” Apkar-Vahram says, as he puts his hands on some more photograph albums. “We saw king Farouk leave and then Gamal Abdel-Nasser arrive. We saw the wars of 1956, 1967 and 1973, and we saw the end of the Cold War. Through all of this we were here in Egypt — learning, bringing up our family, living and feeling that we were Egyptian-Armenians,” she says.